On December 25, citizens of Pakistan celebrate the birthday of Muhammad Ali Jinnah, the founder of Pakistan. This day is observed as a national holiday also known as Quaid-i-Azam Day. Muhammad Ali Jinnah was born on December 25, 1876. In 1892, he moved to London where he studied law and trained as a barrister at Lincoln's Inn. Jinnah became involved in the independence movement in 1904 and eventually became an important figure in the Indian National Congress. By 1940, Jinnah had come to believe that Indian Muslims needed their own state. 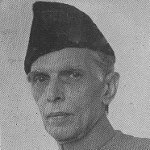 He actively participated in the Pakistan Movement for the independence from the United Kingdom. His efforts and struggles eventually resulted in the partition of India and establishment of Pakistan as an independent state. Jinnah became the country's first Governor-General. Muhammad Ali Jinnah is revered in Pakistan as Quaid-i-Azam, which stands for Great Leader, that is why his birthday is also known as Quaid-i-Azam Day. It is widely celebrated throughout the country. It is marked with public speeches, official ceremonies, and other relevant events and activities. On this day, all institutions and most businesses remain closed so that Pakistanis can properly honor the memory of the country's founding father.